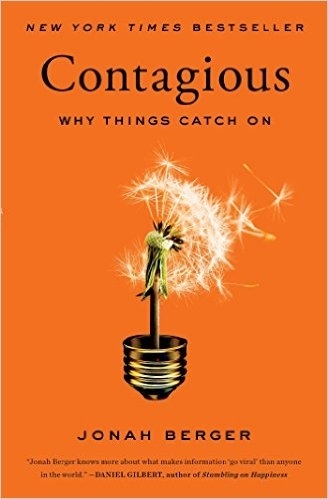 One of my favorite marketing books, it's a useful overview of why some things catch on, others don't, and how we might better engineer our messages. Word of mouth drives 20-50% of all purchasing decisions. It’s more powerful because it’s more persuasive since it comes from a trusted source, and it’s more powerful because it’s targeted at one specific person. While 50%+ of communication happens online, only ~7% of word of mouth decisions happen online. In person still dominates. Anything can be word of mouth worthy. Think of the blend-tec “will it blend” series. No one would think of a blender as being conversation worthy, but they made it happen. 1. Social currency: do people look good talking about it? 4. Public: People need to see others using our product or engaging in the desired behavior. Making things more observable makes them more likely to be immitated. 5. Practical value: It has to appear useful. People like to help others, so showing how they can help others makes them more likely to share it. 6. Stores: People don’t share information, they share stories. How do you wrap it in a larger narrative. If you make something more remarkable, people are more likely to talk about it. It needs to surprise. (See Purple Cow). People don’t just care how they’re doing, they care how they’re doing relative to others. Create game mechanics for them to compete on. Giving awards, too, gives people a way to brag about them and tell people about you in the process. Please don’t tell bar in NYC, hidden in a hot dog restaurant, line out the door. Remarkable behavior can get a first set of mentions, but the way you keep it going is with triggers. Friday was terrible and hilarious the first time we heard it, but every Friday we got reminded of that experience and people listened to it again. Friday (day) “triggered” the Friday (song) memory. Playing french music gets people to buy french wine. Think about how your product can be triggered by someone’s everyday environment, how can you remind them of it? Even negative attention can be good if it keeps the product on top of mind. Anger and anxiety generate the most sharing, followed by awe.Public Restaurants with long lines do better, since people see the long line and assume it must be good. “Behavioral residue” is a way to demonstrate doing something after the fact, like “I Voted” stickers, or breast cancer car stickers. This is a way of making a temporary thing an on going public thing. Lululemon bags are nice, you don’t throw them away, you keep using them and then other people see them and go buy yoga pants. Anti drug ads are bad because they say that lots of other people are doing them, which encourages people to do them. People like to share things that are useful, that will help people out. Limiting the quantity available can result in more purchases by leveraging scarcity. If something is less than $100, describe discounts in percentages (20% off of $25 instead of $5 off). If it’s above $100, use dollar amounts ($250 off of $1000 instead of 25% off). Narrower content can be shared more because it makes people think of a specific person it’s relevant to. Stories are easier to relate to than statistics. Jared losing tons of weight eating Subway, not nutrition facts. Just make sure that the story has to do with the product. A PR stunt that people talk about without talking about the product doesn’t help.